Cần Thơ city Association for Sponsoring Poor Patients has just coordinates with Hồ Chí Minh city Pharmacy and Medicine University, Cần Thơ Children’s hospital and Vina Capital Company to open free-of-charge heart disease screening for children and poor students in the city. 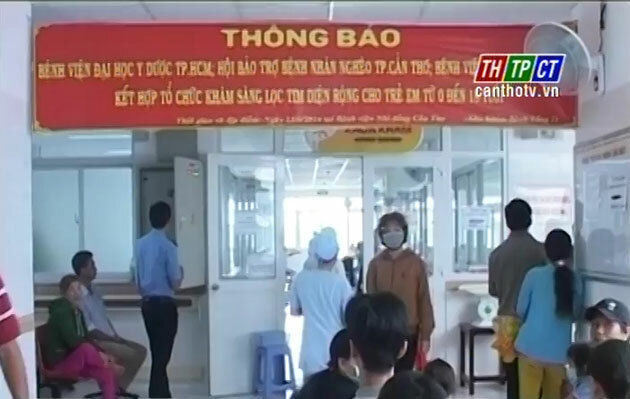 460 children and students from 18 years of age and under poor households in districts of Cần Thơ city area, are examined, ultrasound, electrocardiogram free of charge. Over screening, discovered 16 get in born heart disease, they are under 10 years old. VinaCapital Company sponsored all-in.